This combination of essences may restore vitality during life’s busy, tiring or stressful periods. This combination of essences includes Peppermint, Olive, Hornbeam, Crab Apple and Walnut with Star of Bethlehem, Impatiens, Cherry Plum, Clematis and Rock Rose. Perfect for: the day after a big party or night out; that ‘Monday morning’ feeling; the feeling of general fatigue associated with a busy lifestyle; festive stress; new mums; people going through a busy period such as organising a wedding or moving house or taking exams; people with demanding jobs such as nurses and teachers. Grape alcohol (approx 27% ABV), infusions of Peppermint, Olive, Hornbeam, Crab Apple and Walnut with Star of Bethlehem, Impatiens, Cherry Plum, Clematis and Rock Rose. 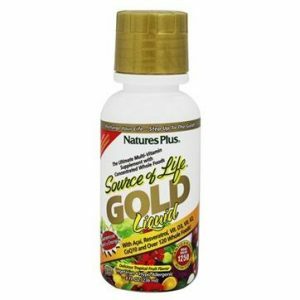 Source of Life® GOLD is now the gold standard for whole food-based multivitamin supplementation. Using all natural ingredients that are easy for the body to recognise and process. 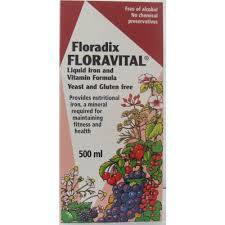 Floradix Floravital is a great liquid iron formula which contains the same ingredients as the original Floradix except with the added benefits of being yeast and gluten free.